Need a cool photo for your email message? 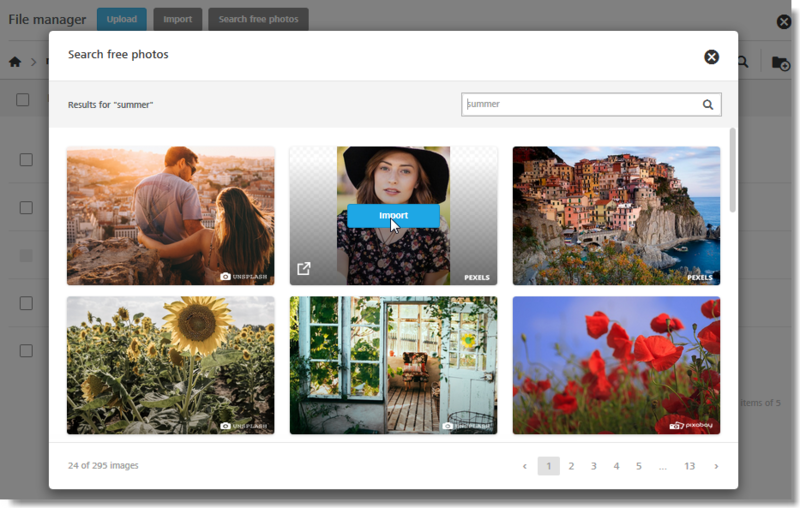 No problem, you can now search for free, high quality stock photos right inside the BEE editor's! Simply pull up the file manager in the BEE editor by clicking on Change image when an existing image is selected, or by adding a new image block and clicking on Browse. 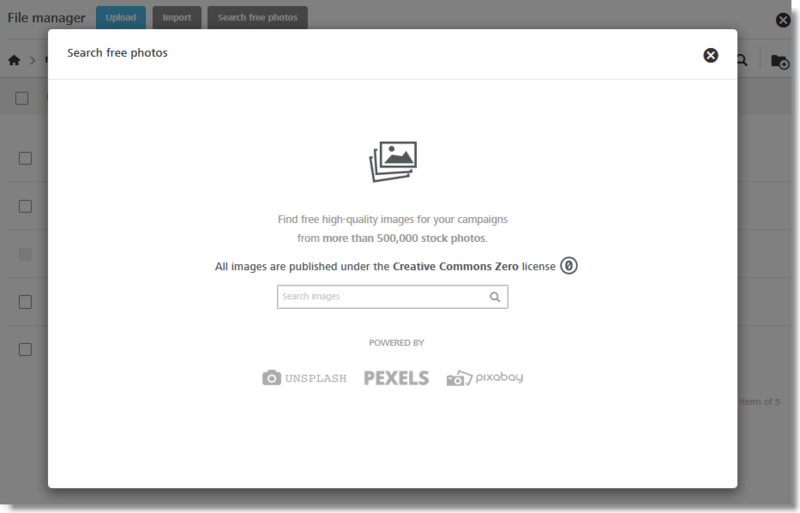 We've partnered with three popular stock photo services - Unsplash, Pexels, and Pixabay - to offer BEE users the ability to search through large repository of high quality images that are free to use under the Creative Commons Zero (CC0) license. BEE Plugin customers: this new feature is available on paid plans only and is turned off by default. If you wish to enable it for your users, you can do so by logging into the developer portal and going to the Application configuration section of your BEE Plugin app(s). The feature can be accessed if the folder is a writable folder in the file manager (i.e. not read-only). The Search free photos button remains inactive in a read-only folder. Image search works best for English language searches and in a more limited way for other languages. You can try searching in your language and see if the search results are accurate. Continuing on the example above, if you were to search for "verano" (summer in Spanish) you would see that the search results are pretty accurate. You can further edit your image in the BEE editor through the built-in photo editing tool: resize your image (watch tutorial), overlay text, apply a variety of effects, and much more. This new feature is part of the July 2016 BEE release. We hope you like the new image search as much as we do. Give this article a thumbs up 👍 if you like this new feature, and share your thoughts.